M.A.T.S.S. will help make your child’s next birthday a memorable one ! We have a party for every size, taste & budget and the Birthday Child is always FREE ! Our party consultant will make your booking easy. Our ultra-friendly staff handles the set-up, food service and entertainment so you can spend your time simply enjoying a very fun day with your child, family and friends. We offer Basic, Theme or Specialty packages! (Note descriptions below) * And all come with available "Add-On" Options-- see below All parties are 90 minutes (1 and 1/2 hours) long and can be extended, for an additional fee. 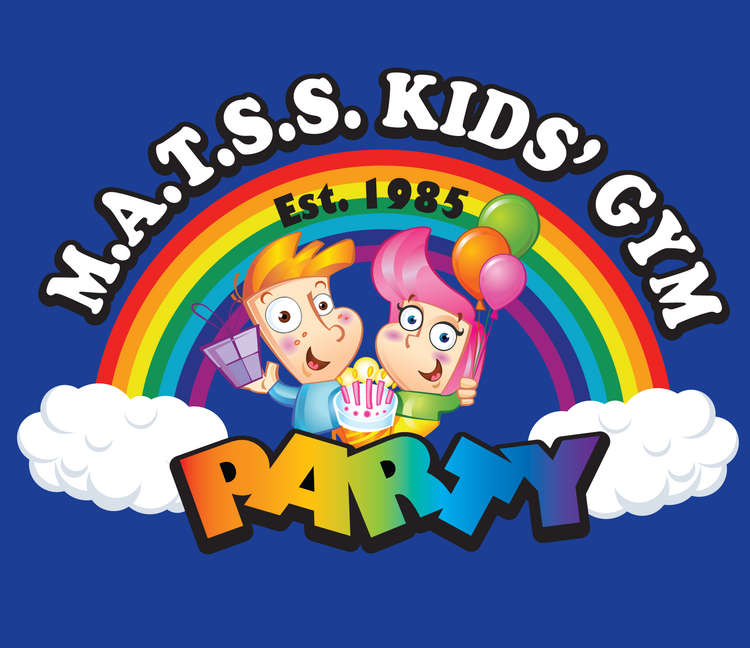 BASIC Party Package: Includes invitations, decorations, basic paper goods, choice of meal and drink, and a M.A.T.S.S. logo gift for the birthday child! Sesame Street/Elmo, Superheros, Spiderman, Princess, Mickey/Minnie Mouse, Dora/Diego,Sports, Elsa's Adventure, Pirate/Jake the Pirate, Minions, Dinosaur/The Good Dinosaur, Star Wars, Ninja Turtles, Paw Patrol .....and many more! "ADD-ONs" Options : Would you enjoy adding a an extra half hour to your child's party? or perhaps a second gym to use?, party favors?, balloons?, characters?, a entertaining puppet show?, face painting/tattoos for the children?, inflatables to play on?, adult food?....and so much more! Call for additional items & details. Our Party Consultant will be happy to assist you!